In retrospect, one’s childhood often seems idyllic. Bill Durnan recalled his as utopian. 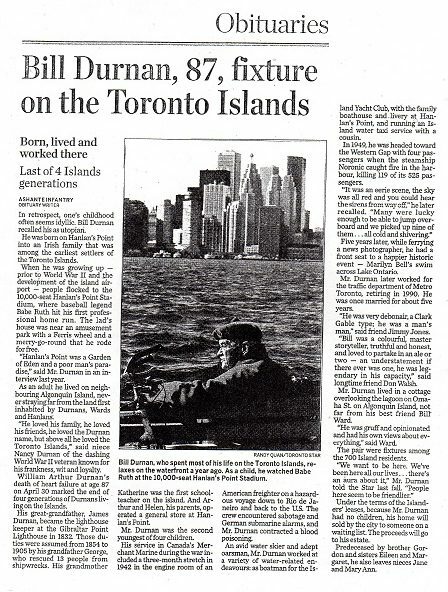 He was born on Hanlan’s Point into an Irish family that was among the earliest settlers of the Toronto Islands.